Murder by Gaslight: Is Holmes Hatch? Herman Webster Mudgett, alias Dr. H. H. Holmes, confessed to killing 27 men, women, and children, but lawmen estimated that his actual total was as high as 230 murders. This is not enough for some people; there appears to be a movement afoot, to pin every unsolved murder of the 19th century on Dr. Holmes. Some amateur detectives are now attempting to “prove” that H. H. Holmes was also Jack the Ripper, though there is no evidence that Holmes ever left North America, and the modus operandi of the two men could not be more different (the ripper killed with a quick slash to the throat; Holmes preferred slow torture from a distance). It is also rumored that someone is trying to connect Holmes to the murder of Lizzie Borden’s parents. Apparently, accusing Holmes of murders he did not commit, is not a new phenomenon. 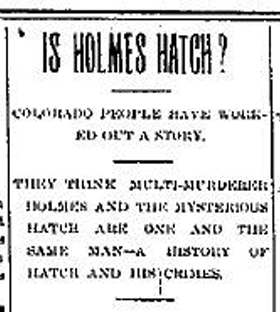 This article from The Fort Wayne Journal, September 1, 1895, tells of a theory from Colorado, that Clark W. Hatch, who murdered his uncle there, was actually H. H. Holmes. The theory was effectively refuted by Yankee common sense. Boston, Aug. 31— A dispatch from Colorado Springs states that it is the belief there that the Hatch who has been mentioned in connection with the Holmes murders is Holmes himself and that he is the Clark W. Hatch, Boston, who tried at Breckinridge, Colo., in April 1890, for the murder of his uncle. Hatch was the New England agent of the Travelers’ Insurance company of Hartford, with his office in this city. 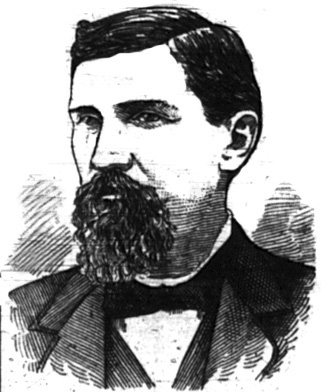 While in Colorado in 1890, his uncle, who lived several miles outside of Breckinridge, was shot dead by some unknown party. Hatch was arrested and after a preliminary trial was discharged. He returned to Boston and the grand jury in Colorado indicted him for murder. He was arrested and sent out there again, was tried and acquitted. He started for Boston again and when at Worcester, Detective O’Day, of the Worcester police department, arrested him on a charge of passing a forged check on a bank in Worcester. He was tried in Worcester and acquitted. The verdict was a surprise I the insurance company, which had counted upon a conviction. The company had, during Hatch’s absence in Colorado, made an investigation of his affairs and found they were in a fearful state. How much the company lost, it was impossible to say. The figures have never been known, and, in fact, cannot even be discovered by the company’s accountant. Upon his discharge in Worcester, the insurance people, to keep him in custody until they could perfect another criminal charge against him, initiated a civil suit to recover $25,000. He was arrested as he was leaving the court. Hatch’s attorney hurried before the court and got a writ of habeas corpus and the arrested declared illegal. All this time the agents of the company in Boston had been busy getting out a warrant charging Hatch with forgery here. The warrant was placed in the hands of Police Inspector Dugan, who took the train for Worcester, but arrived some time after Hatch had been discharged. The next heard of Hatch was at St. Johns, N. B. a few days later. He was seen at the depot there by a fellow employee of the Travellers’ Insurance company. Hatch disappeared. He was not seen since, though it has been rumored now and then that he is in the Argentine republic. It is alleged that he went to various agents in his own district and got insured. Of course all the papers would pass through his hands and with power to accept or reject he could pass all applications he chose. 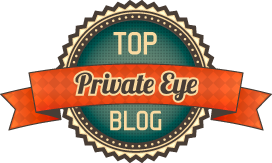 In a reasonable time claim was made to the agent, the necessary papers being apparently satisfactorily fixed by those making the claim and being transmitted to Hatch by the agent, were allowed. The chances of detection were slight indeed. But finally he was suspected and the thing came out after a most thorough investigation. Hatch and Holmes, while both were insurance swindlers, are different men. Hatch was more than six feet tall and heavily built, while Holmes is a very much smaller man.